North Carolina Democrats have been forced to “take an extreme measure” this year by endorsing judicial candidates for statewide office. A newly-created endorsement panel met at the Democratic Party convention over the weekend in response to Republican legislator’s eliminating judicial primary elections this year. Party Chair Wayne Goodwin said they prefer to have voters choose Democratic judicial nominees rather than party officials. He testified last week at a federal trial over the elimination of judicial primaries about the endorsement panel, noting that there was only time to address statewide races — there are four — and not trial court races — there are more than 100. The Party endorsed well-known civil and voting rights attorney Anita Earls (she also founded the Southern Coalition for Social Justice) for a State Supreme Court seat and John Arrowood (current Court of Appeals judge), Allegra Collins (Raleigh attorney and Campbell University Law School professor) and Toby Hampson (Raleigh attorney) for Court of Appeals seats. 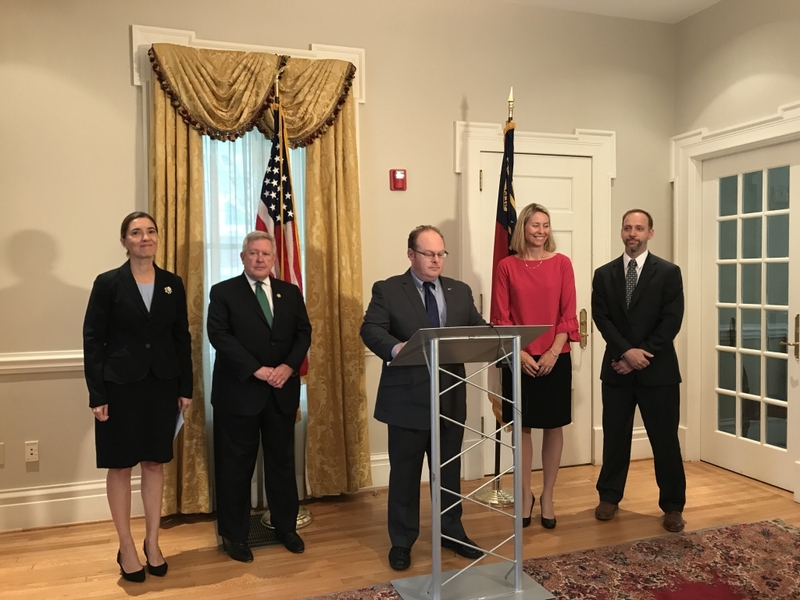 Goodwin said there was no other place in the country that had experienced so many changes to an independent judiciary as rapidly as North Carolina. The legislature in the past two years has made all judicial elections partisan, shrunk the Court of Appeals, cancelled a judicial primary election and dabbled in judicial redistricting. “They rewrote the law to stack the deck in their favor, and that’s what they do,” Goodwin said. He expressed concern over a particular measure that allows judicial candidates to change their party affiliation up to the last minute — there used to be a 90-day registration requirement. He said a Franklin County attorney who has publicly criticized Democrats and supported Donald Trump already announced his switch from a Republican to Democratic registration.